According to this panel at the IREM Global Summit, the change in the industry has asset managers expecting more from property managers than just steady and stable. HOLLYWOOD, FL—Real estate investments continue to evolve and become more sophisticated, putting pressure on property managers to think and act like owners and asset managers. Simply put, the pressure for property managers to provide added value has increased. 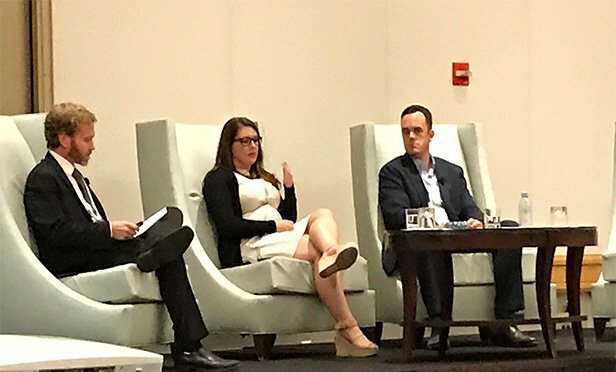 That was the message of a panel discussion called “What Asset Managers Want from Third-Party Property Managers” that took place at the 2018 IREM Global Summit Sept. 26-29 in Hollywood, FL. The panel was led by Dustin C. Read, Ph.D., an associate professor of property management and real estate at Virginia Tech, and included Kimberly Collins, associate director for asset services at CBRE, and Bryan W. Furze, VP of asset management for Federal Realty Investment Trust. According to Read, the current property management model is broken. Fee compression has resulted in commodification, and service providers work on thin margins with little recognition. The bottom line, according to Collins: The industry has moved from a time when property managers were just expected to maintain the status quo to an expectation that they will create added value, not just preserve value, for the assets they manage. Furze said he expects his property managers to be a partner. He looks for managers who think like an owner—someone who wants a seat at the table, to be at team and development meetings. While leasing representatives generate revenue, property managers can help reduce operating expenses and improve NOI. They can be strong partners toward finding ancillary sources of revenue as well. Furze expects his managers to participate in revenue creation. CBRE’s Collins educates property managers to help them understand the tenants’ needs and the building’s specifications. She looks to managers to provide insight on tenants—how an accounting firm may want 24-hour HVAC during tax season, for example, or a dentist may use more water than the average tenant. “This is our way of making sure the asset is the best fit for not only the owner, but the occupants of the building,” she said. Collins advised property managers to be present and ask questions. Don’t just turn in monthly financials—make suggestions. Know if the owner is in disposition mode or not. Walk through competing projects and use them to improve your competitive advantage. Read provided several recommendations to help property managers become part of the value-creation process. Some key takeaways: Understand the owner’s investment strategy and keep those objectives in mind; triage effectively—make sure there is an economic payback to any suggestions you make; avoid complacency—there is always something that can be done to improve a property’s competitive position and improve its market value; understand the language of finance, such as cash flow and NOI; master the market; communicate clearly; and think like an asset manager.